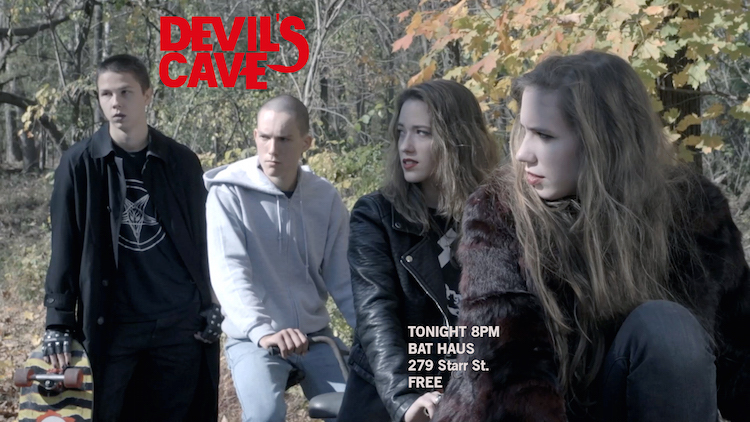 DEVIL'S CAVE is a short horror film that tells the story of a high school loner in Upstate New York who is befriended by local devil worshippers. Shot on location over two days in October 2013, the film is an homage to B-movies of the VHS era. The story is semi-autobiographical and pays tribute to early 2000s nu-metal culture. Written, directed, produced, production designed and edited by Luke Carr. Director of Photography/ Editor: Will Croxton. Producers: Harrison Jaffee and Dan Normile. 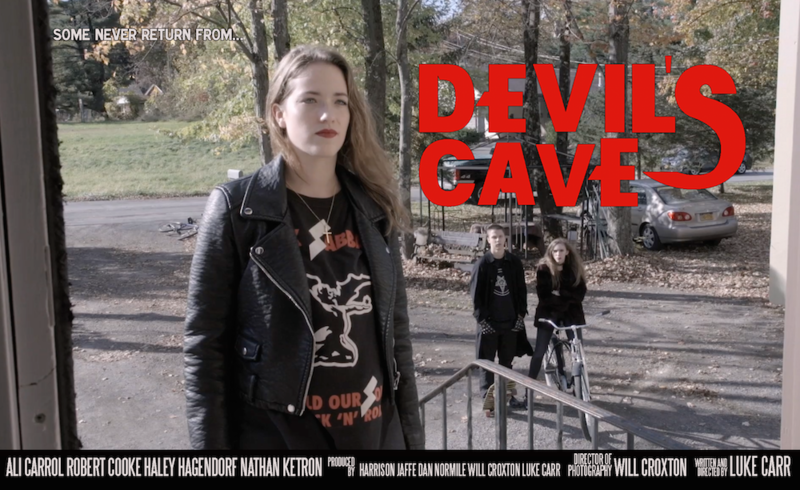 Premiered at Bat Haus in Bushwick, October 2014.